Without question, Kentucky is synonymous with bourbon -- and proudly so. But that doesn’t mean we don’t have a penchant for fine wines. Unfortunately, the wine bar scene here in Louisville is admittedly slim as bourbon bars and breweries seem to dominate the city. But don’t worry, several places are ensuring that residents are broadening their palates and experiencing wine to the fullest. Does your pup enjoy a crisp, aromatic glass of Gewürztraminer as much as you do? 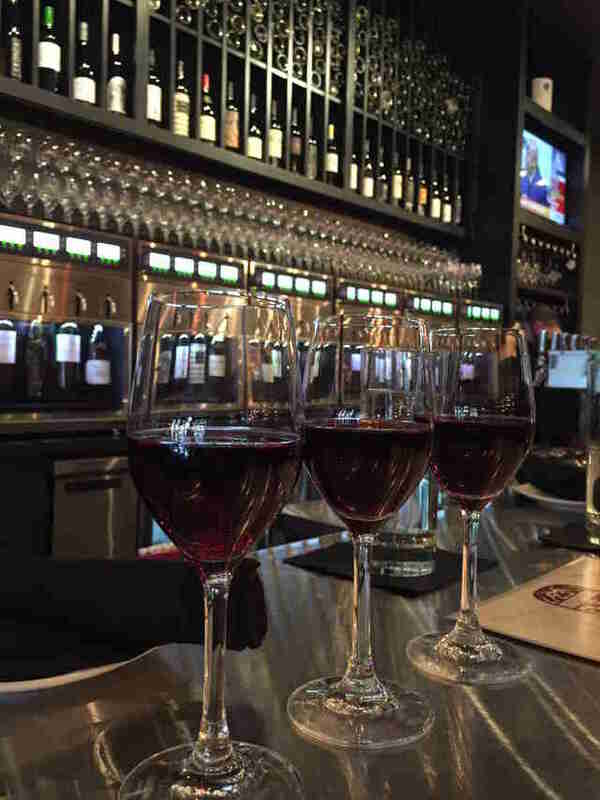 Well, look no further than Vines and Canines, where a small, expertly crafted wine-by-the-glass list is rotated weekly, offering Louisvillians a sample of both familiar and unfamiliar grape varieties while their pooch is in tow. As Louisville’s only dog-friendly wine bar, Vines and Canines also offers an array of wines by the bottle for purchase in addition to dog treats and novelties. Taste Fine Wines & Bourbons should be the standard for every neighborhood wine shop. It’s both intimate and welcoming, and the team is always behind the bar fielding bottle recommendations from their small (but impressive) collection. The wine samples for purchase are constantly rotating and always interesting, allowing guests to broaden their horizons. Not in the mood for wine? No worries, their bourbon selection is always on point. After all, this is Kentucky. 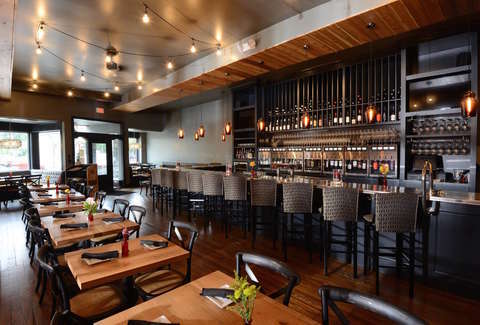 LouVino entered the Louisville dining scene in July 2014 and was an instant success. Residents turned out in droves to feast on signature small plates like the fried chicken tacos and duck fat frites. 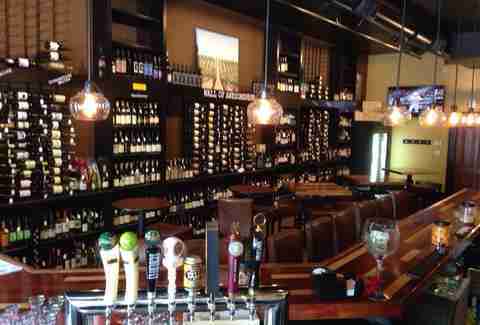 The true draw of this restaurant, however, is stated in its name -- vino. The wine tasting portions are plentiful, thanks to the special tap system allowing open bottles of wine to remain fresh for weeks and ensuring they are always poured at the perfect temperature. Staple wine flights pay homage to famous Kentuckians (looking at you, Jennifer Lawrence, George Clooney, and Muhammad Ali) and new flights are introduced monthly. This unassuming wine bar remains one of the East End's best kept secrets. Tucked away in a strip of shops off of La Grange Road, Brix boasts a generous wine-by-the-glass list and plenty of delicious food for pairing. Their bison burger is a great place to start (try it with a Rioja! ), or you can pair an earthy Chianti with their Meatball Bolognese. While the food and the wine are upscale, the atmosphere remains decidedly casual with a crowd full of regulars who the staff typically knows by name. The neighborhood of Norton Commons would simply not be complete without a proper wine shop. Commonwealth Tap filled this void and has been exceeding expectations ever since, offering wines on tap as well as by the bottle to take home. A mix of small and large production wines are always offered along with plenty of beer and bourbon. It's a must-stop if you find yourself thirsty and in the east end. Bistro 1860 boasts over 50 wines by glass, thanks to the unique tap system maintained from the previous tenant, L&N Wine Bar and Bistro. In fact, the ability to sample a variety of new and old world wines is in perfect keeping with the restaurant’s menu concept, where every dish is offered in two or three different portion sizes and price points. We, for one, are counting down the days until the sun shines again and it's warm enough to sip rosé while enjoying oysters on the half shell out on their patio.